“Derma-Tint” is a fine quality liquid tint containing powder and pigment suspended in a solvent base. Restores natural tissue glow to the skin from light skin tones to ethnic skin tones. The superior qualities of our new Derma-Tint emollients allow the powder and pigment to stay in suspension longer than other brands and requires less re-capping and re-mixing during application. 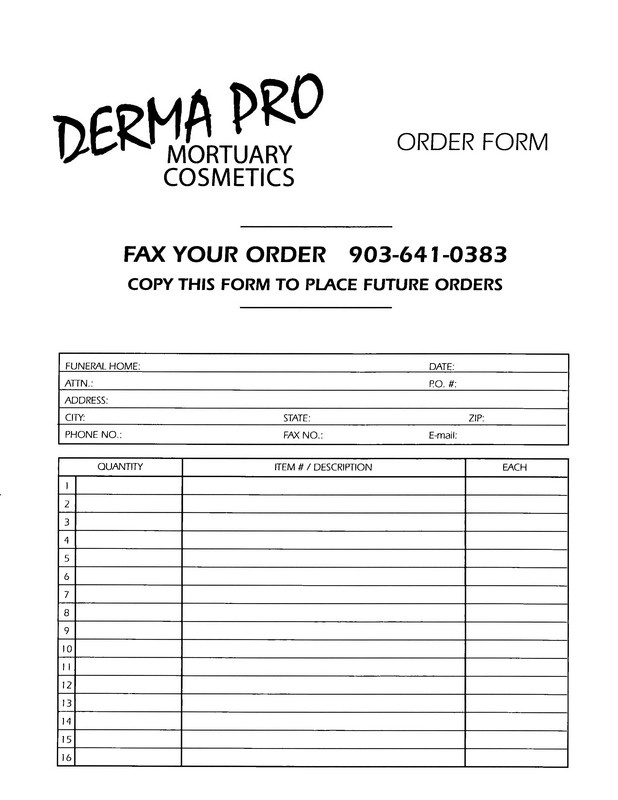 This entry was posted in Derma-Pro Products and tagged 07, mortuary cosmetics, quality. Bookmark the permalink.